Ebamba's name means 'mender' in Lingala, but everything in the Congolese twenty-something's life seems to be falling apart. In the chaotic megacity of Kinshasha, the educated but unemployed young man must navigate the ever widening distance between tradition and modernity - from the payment of his fiancee's exorbitant dowry to the unexpected sexual confession of his best friend - as he struggles with responsibility and flirts with temptation. Mr. 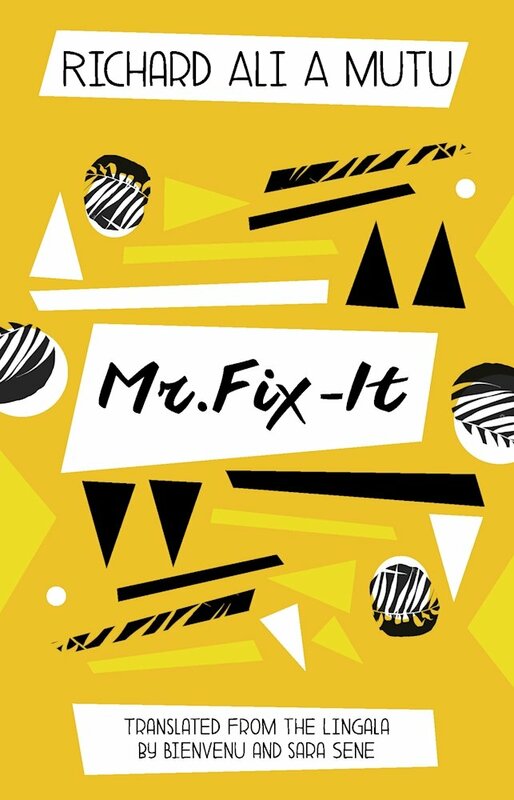 Fix It introduces a major new talent who leads a new generation of writers whose work portrays the everyday realities of Congolese life with the bold, intense style associated with the country's music and fashion. Definitely looking forward to its December release, and check out this conversation with Richard Ali A Mutu on Jalada.